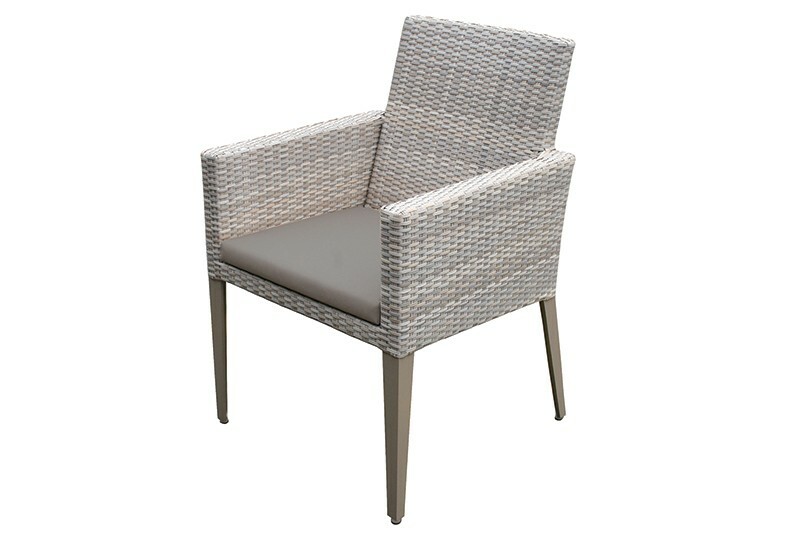 Superbly suited to sophisticated outdoor dining, this Hampstead dining set is a winning choice. 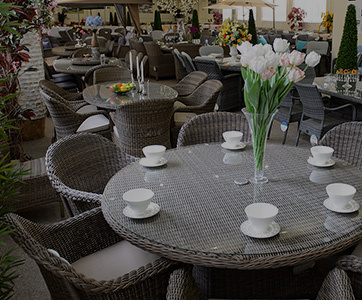 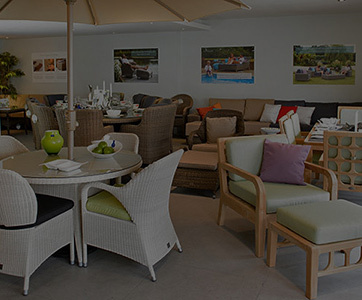 The Hampstead collection offers a collection of hardy garden furniture, designed to serve and stay utterly stylish without any maintenance thanks to its premium weather resistant construction. 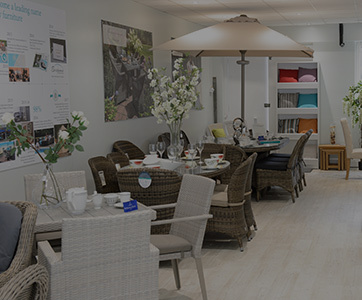 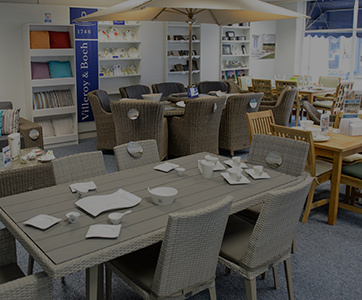 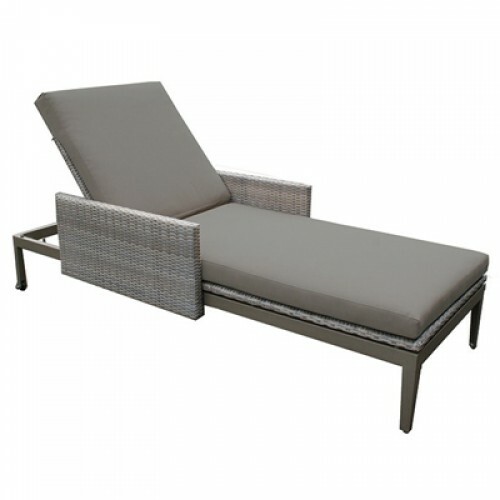 The all weather qualities are achieved with a pairing of powder coated aluminium and synthetic rattan. 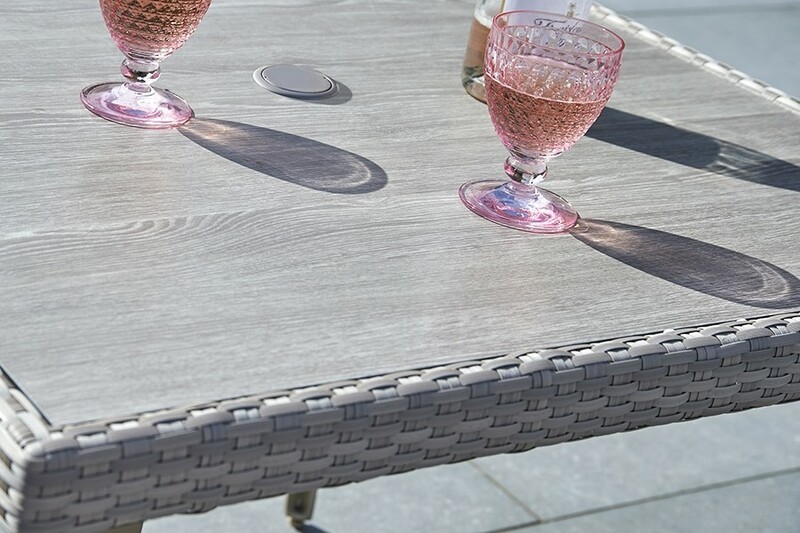 Robust, reliable and radiating with elegance, this set can stay in situ all year round. 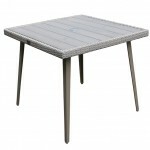 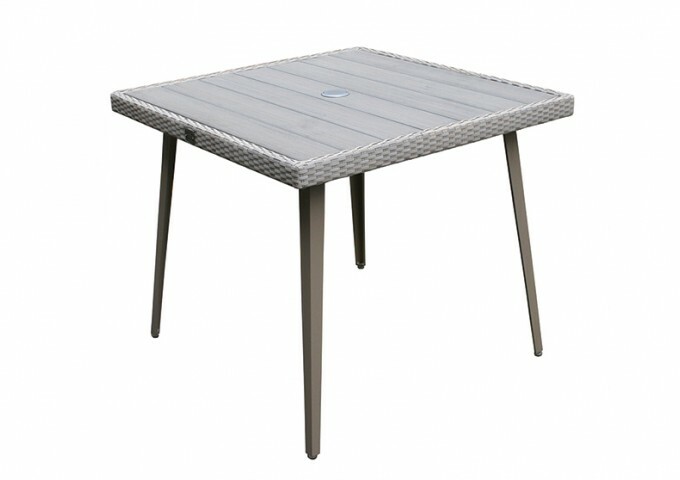 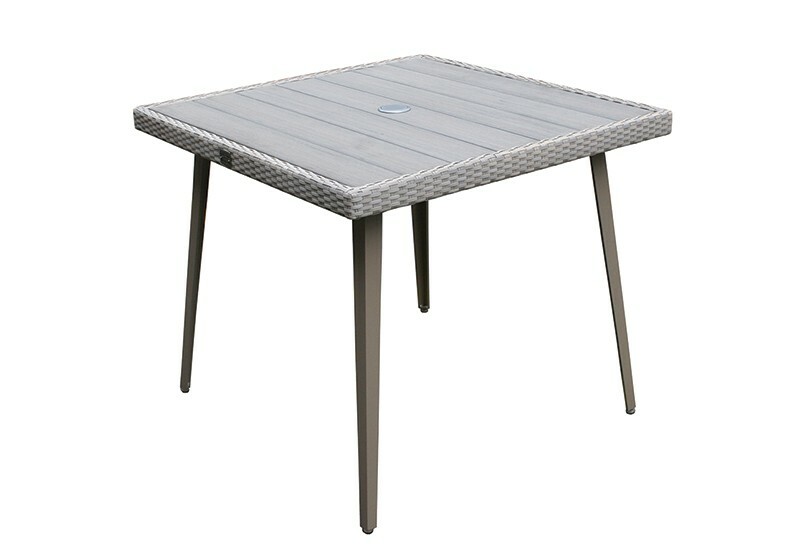 The 90cm square table is topped with a wood composite that brings the beauty of wood to the design and is decoratively trimmed in rattan weave. 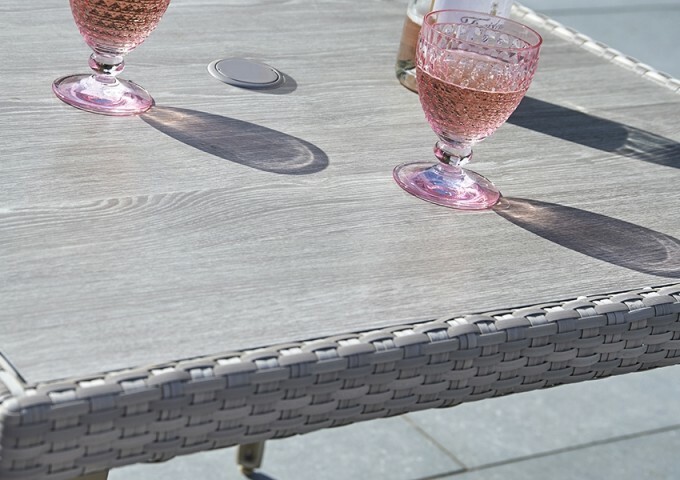  Available at an extra cost, is the option of a high pressure lamiinate (HPL) table top, which is particularly suited for commercial or heavy use. 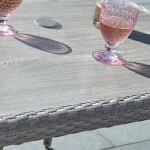 A plugged hole is incorporated in all the tabletops, ready for a parasol when the sun shines. 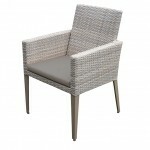 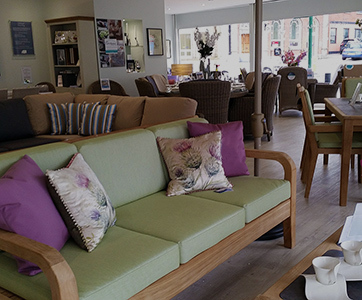 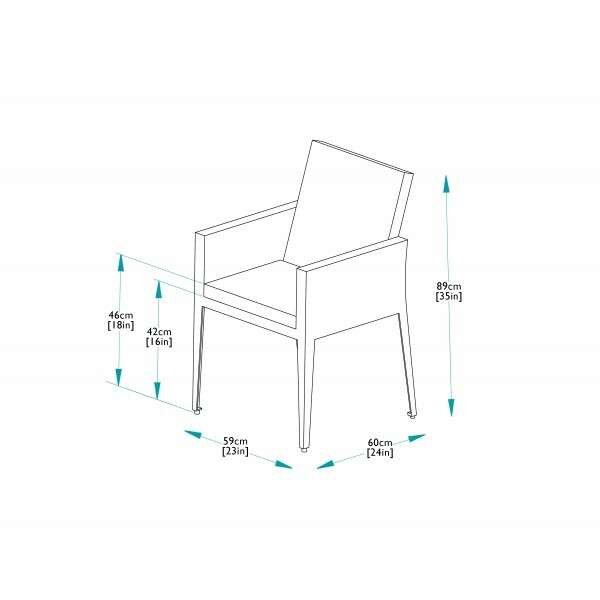 The four dining armchairs offer relaxed comfort and come with coordinating cushions that are also fully waterproof. 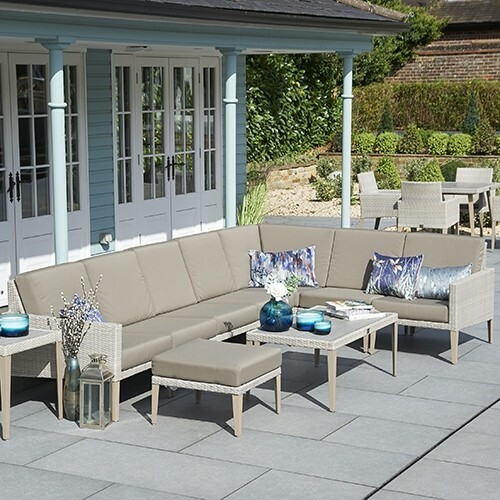 This stone-grey set is gently contemporary and sits alongside many more great garden items in the full Hampstead range.